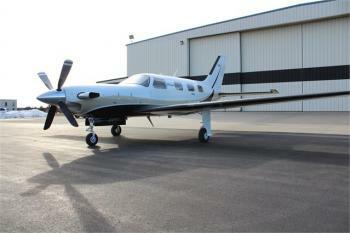 2008 Piper Meridian, 2215 TT, 895 SHOT, Avidyne, PFD's, MFD, S-TEC 1500, XM, Dual 430. Airframe: 2215 TT 2170 Landings Engines: 2215 Hours 895 Since Hot Section P&W PT6A-42A Props: 640 Hours Since Overhaul May 2014......more. Airframe: T: 2246.5 Engines: PT6A42A, S# PCE-RM0372 TT:2246.5 CSN: 1848 176.5 SHSI 176.5 SPOH Props: HC-34N-3Q, S# HH4306......more. Immaculate 2008 Meridian, only 1500 hrs TT, Avidyne Entegra Glass Cockpit, dual Garmin GNS-430, GTX-330D Diversity Transponder, S-TEC Magic 1500 Autopilot, KN-63 DME, IHAS-8000 Integrated Hazard Avoidance System, MLX-770 Worldwide Datalink. Worldwide delivery available. Airframe: Total Time1500 Engines: Engine: Pratt & Whitney Canada PT6A-42A Serial number: PCE-RM0377 Props: Prop SpecsPrope......more. · One Owner Since New · Garmin G1000 3 Display Cockpit · EASA Certified · FIKI Certified · Full Known-Ice Package · ECTM - Engine Condition Trend Monitoring · LED Taxi & Landing Lights · New Design of ECS Cabin Floor Outlets Airframe: 850 Hours 851 Landings Engines: Description: Pratt & Whitney PT6A-42A Propeller: Hartzell HC-E4N-3Q......more. AIRFRAME: 870 Hours TTAF ENGINES: Pratt & Whitney PT6A-42A TBO: 3,600 hours 870 Hours Since New PROPS: Hartzell HC-E4N-3Q 870 Hours Since New ......more. Airframe: 2015 Airframe 420 Hours TTAF Engines: Pratt & Whitney PT6A-42A TBO: 3,600 hours 420 Hours Since New Props: Hartzell HC-E4N-3Q 4-Blade 420 Hours Since New......more. Delivery scheduled for March 2019! 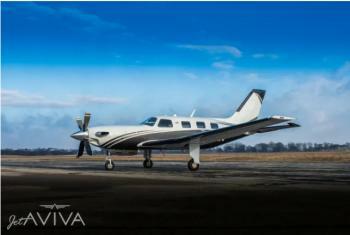 Still time to choose your colors on this new Piper M500! 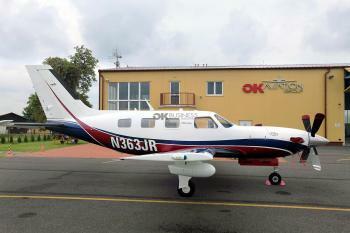 Engine(s): Pratt & Whitney Canada PT6A-42A Flat Rated Horsepower at 500 SHP......more. 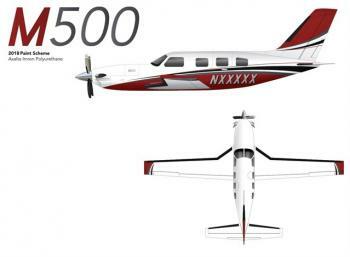 2019 Piper M500, Delivery Time Only. Coming March 2019. 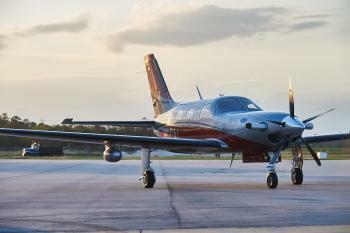 Airframe: Delivery Time Only - Delivering March 2019 Engines: )Delivery Time Only - Available Q1 2019 Props: Hartzell 5-Blade Composite Prop......more.